Volvo prop and propeller. 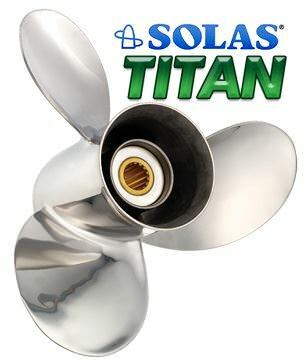 The Solas Titan Volvo propeller is Top of Line prop for your boat. With the Solas Volvo props you will see better holeshot, increased mid rang and top speed are all benefits for your boat. NOTE We also have 1000's of Solas Amita, Rubex, Saturn, Scorpion and Lexor propellers that are stainless and aluminum 3 to 4 blade at our other store at watercraftpropellers.com.